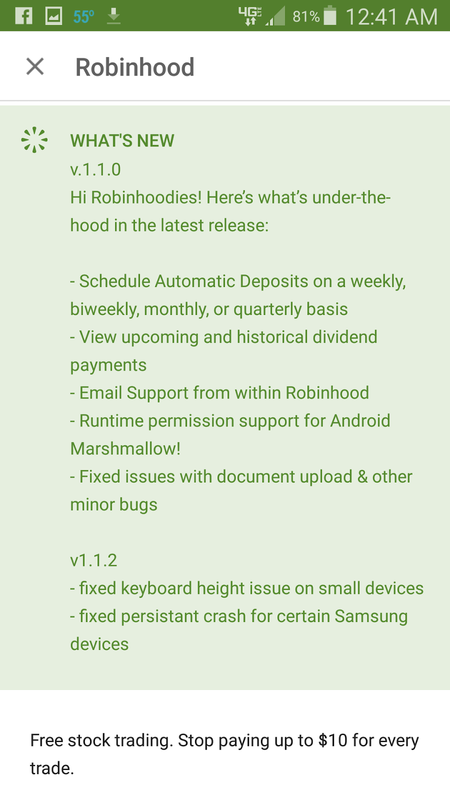 Robinhood is now on version 1.1.2. I'm not sure if version 1.1.0. updated at the same time with 1.1.2. 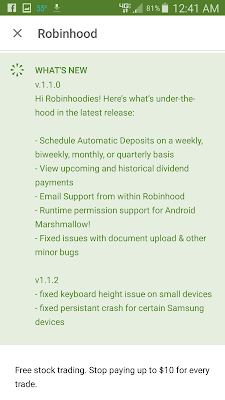 Anyways, I did notice something new on the Robinhood App this morning, and that was seeing the upcoming dividend payments. 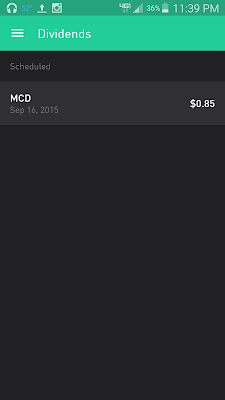 I bought a share of McDonald's stock a few weeks ago (Ticker Symbol MCD), and this morning I saw the new area on the app where it shows when this dividend is scheduled to pay out. This will come in handy since I plan to start investing in Dividend stocks like I talked about it my previous post. 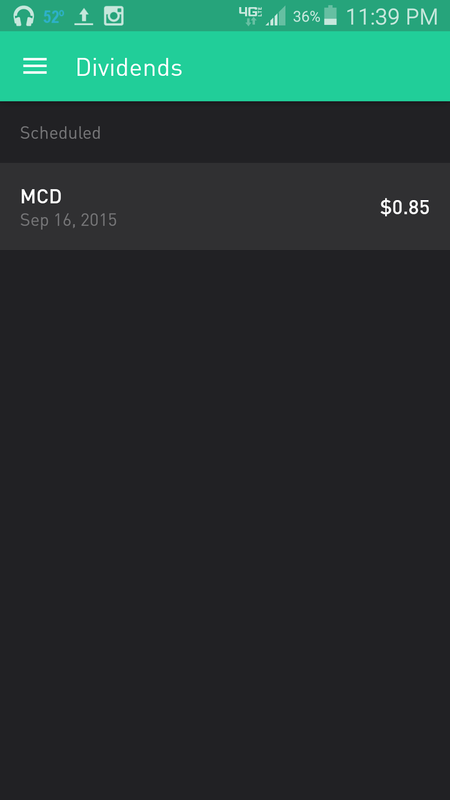 The Payment Date for this dividend is 9/16/15. Information from the NASDAQ website says this date and Robinhood matches that. I will have to wait and see if the dividend goes into my cash on the account on 9/16/15, or if it'll take a day to process.